During the late 1980s and early 1990s, nationalism won a long battle with multi-national states in Eastern Europe and the previous Soviet Union. However, it lost the battle with sovereign states in the Arab Middle East. Throughout the 20th century, multi-national and multi-ethnic states tried to integrate their diverse citizenry through an umbrella of rights and responsibilities that citizenship accords to people. The formula worked as long as the state was successful in enabling people to satisfy their economic needs. Nevertheless, national and ethnic conflicts erupted as a result of competition for scarce resources, particularly when the economy was suffering major problems. The collapse of the multi-national Yugoslav, Czechoslovak, and Soviet states in the late 1980s lends support for this argument. Despite this economic explanation, there is a tendency to explain the collapse of these multi-national states in relation to the inherent characteristics of nationalism. For example, in the case of Yugoslavia, it has been argued that the state failed to denationalize its citizens because of the strength of their nationalistic affiliations. By 1989, very few people identified themselves as Yugoslavs. The vast majority emphasized their national origin or ethnic affiliation, such as Serbian, Croatian, or Bosnian Muslim. An explanation of this disenchantment with the state was the perception by members of minor nationalities that they were exploited by the dominant nation. Croats, for example, believed that the dominating Serbs were draining the financial resources of Croatia. This happened as a result of the tendency of nationalities to dominate one-another. Thus, in Yugoslavia, people from several nations were united in a multi-national state and were given its citizenship. However, majority of them did not want to relinquish their national origin or identify with the Yugoslav state. In the Middle East, the case is completely reversed. The Arab nation is divided into several sovereign states. Arab nationalists call for the unification of these states into one nation-state. However, the wealthy oil-exporting states, which benefit from the status quo reject unification. Moreover, they have been successful in creating material and psychological barriers between their citizens and other non-citizen Arabs. Accordingly, I argue that privileges of citizenship may be stronger than nationalistic affiliation. The 1990 Iraqi-Kuwaiti crisis, which developed into the 1991 Gulf War lends support to this argument. Positions of Iraq and Kuwait represented two different perspectives of Arab nationalism. Each one of them represented the ideology of a different group of Arab states. While Iraq represented unionists, Kuwait represented sovereigntists. In order to understand the ideological conflict between unionists and sovereigntists, and consequently the relationship between nationalism and citizenship, several questions need to be answered. First, who are the unionists and the sovereigntists? Second, What was the role of the European imperialists in starting and perpetuating that conflict? Third, how did the oil wealth increase the gap between the wealthy and the poor Arabs? Fourth, how did the development of the two Arab Cooperation Councils reflect the Arab split? Finally, how is Arab nationalism understood differently by each group? Throughout the 20th century, Arabs move rapidly back and forth between brotherhood and betrayal, as well as between unity and conflict. During the 1980s, Kuwaitis assisted Iraq in its war against Iran. However, as soon as the war was over, they demanded Iraq to pay back its war debt. Moreover, they started to overproduce oil contributing to the decline in oil prices, which hurt the Iraqi plans for post-war reconstruction. On the surface, it may appear amazing that Kuwaitis shifted from a position of support to a position of indifference or even adversity. Anyway, the Kuwaiti behavior resulted in that Iraqis felt so cornered that they invaded the small brotherly country that supported them. However, a deeper historical analysis is more suitable for understanding the Iraqi-Kuwaiti crisis and the war that followed. In its origin, the conflict between Iraq and Kuwait represented the conflict between national liberation movements and European imperialist powers and their local clientele classes. Starting from the 1950s, the struggle became more between Arab unionists and Arab sovereigntists than between Arabs and Europeans, as it was earlier. The ruling elite groups led the sovereigntist camp, which is mainly composed of a minority of Arabs, particularly citizens of oil-exporting states. Maintaining the status quo has allowed them to enjoy privileges of citizenship and excluded others from having a direct access to the important slots in the labor market. Unionists, on the other hand, appealed to the rising middle class and the majority poor in non-oil-exporting states, promising that unification of the Arab homeland would increase their opportunities for a better life. Had the Arab states been unified and democratic, the two rival ideologies could have coexisted. They could have alternated control over government, like what happens in representative democracies in the world. Instead, conflict resolution has often been conducted by the use of force, in the region. In the case of Kuwait, the British have intervened to maintain the status quo every time Iraq attempted to change it (Chapter I). Their intervention demonstrated that the conflict, in its essence, is between the European imperialist powers and the unionist Arab national liberation movement. Border disputes in Arabia provide an example of how the European imperialist presence intensified the inter-Arab conflict. Border disputes in Arabia may be mainly attributed to the 19th century Saudi expansion and the Ottoman reactions it triggered. However, these disputes were intensified later by the competing Western interests. In spite of the British-Saudi alliance at the beginning of the 20th century, a confrontation erupted between Britain and Saudi Arabia in the 1950s. This developed when Saudis tried to extend their southeastern frontiers to reach Al-Buraimi Oasis, which was also claimed by Abu Dhabi (now in the United Arab Emirates) and Oman. The British were involved because they were still the colonial administrators of the Arabian Gulf chiefdoms. The Saudi border claims go back to 1933 when the Standard Oil Company of California obtained an oil concession that covered the Saudi Arabian southeastern frontiers. Although the claims were renewed in 1949, Saudi forces were not sent to the Buraimi Oasis until 1952. The British reacted by besieging them for seven months until the Saudi government agreed to submit the border dispute to arbitration. In return, Britain agreed to allow a 15-man Saudi police force to stay in the Oasis until the dispute is settled. The arbitration failed and in 1955, 82 Saudi-supported tribesmen were killed in a clash with the British troops in the area. Tensions increased between Britain and Saudi Arabia throughout 1955 and 1956. This happened when Egypt was attacked by Britain, France, and Israel on October 31, 1956, which resulted in the Anglo-French occupation of the Suez Canal and the Israeli occupation of the Palestinian territory of Gaza Strip and the Egyptian Sinai Peninsula. In support for Egypt, Saudi Arabia broke its diplomatic relations with Britain and did not restore them until January 1961. During that period, Saudi Arabia joined other Arab nationalist governments in opposing the British colonial presence in the region. It joined Egypt and Yemen in supporting Imam Ghalib Bin Ali in his challenge to the Sultan of the British protectorate of Oman, Sa'id Bin Taimur. It also financed the purchase of weapons by Yemen from the Soviet Union and China in an effort to liberate South Yemen from the British occupation. The British objection to Saudi claims of the Oasis was based on the 1913 Anglo-Turkish Convention. That agreement specified the southeastern borders of Nejd (now part of Saudi Arabia) as a straight line that began at Zakhuniyah on the Gulf and continued vertically through the inland of the Arabian Desert. Thus, the Saudi Arabian frontiers would stop short of even reaching the Qatari Peninsula. Saudi Arabia argued that the Buraimi Oasis was part of the first Saudi state throughout the 19th century. The collection of zakat, the Islamic tax, from Arab tribes of the area was cited as an evidence of the Saudi rule there. A stronger argument than the zakat evidence could have been the invalidity of the 1913 Anglo-Turkish Convention as a basis for drawing borders in eastern Arabia. That convention was never ratified because of the break out of World War I. This fact also represents the main support for the Iraqi claims of Kuwait, which was administratively part of the Iraqi governorate of Basra until the collapse of the Ottoman Empire in World War I. Actually, most Arab states may claim their neighboring Arab states or part of them on the same basis. Syria and Lebanon separated from each other when they were given independence by France at the end of World War II, as two sovereign states. However, each one of them may claim parts of the other on basis of their administrative status during the Ottoman era. The same principle applies to the relationship between Palestine and Jordan as well as to Saudi Arabia and the rest of the Arab states in the Gulf. From an Arab nationalist viewpoint, all Arabs constitute one nation. Therefore, they have the right to live, work, and travel anywhere in their homeland without restrictions. This means that the present conditions of separated and independent Arab states are unacceptable, particularly because these conditions were imposed on Arabs by the European imperialist powers at the turn of the century. From this perspective, the Arabian Gulf oil wealth is perceived as the property of the Arab Nation as a whole, not just the Gulf Cooperation Council states. More specifically, the British control of Kuwait has always been perceived by Arab nationalists as depriving the Arab Nation of its oil wealth. They also argue that if people are given the opportunity to express their opinions, they choose unification. Support for this argument comes from unification attempts throughout the second half of the twentieth century. However, only two of these attempts materialized: the unification of Egypt and Syria between 1958 and 1961 and the unification of the two Yemeni states in 1990. But there were several attempts that did not succeed. There was a unification attempt between Egypt, Saudi Arabia, Syria, and Yemen prior to the Egyptian-Syrian unification of 1958. There was another unification attempt between Iraq and Jordan directly after the Egyptian-Syrian unification of 1958. After the Syrian secession in 1961, Egypt, Iraq, and Syria entered a long process of negotiations to unify the three states. In 1971, the union of Arab Republics was declared between Egypt, Libya, Sudan, and Syria. There were also some attempts to unify Libya and Tunisia, in the mid-1970s. Morocco achieved a successful unification with the Western Sahara in 1976 despite some local opposition. Finally, following the end of the Iran-Iraq war in 1988, the Arab Cooperation Council was established between Egypt, Iraq, Jordan, and Yemen. These continuous attempts to unify the Arab states show that unification has a strong appeal among Arabs. However, the high failure rate of these attempts shows that sovereigntists still represent an influential group that opposes unification of these states. Although the two groups exist in every Arab state, majority of these states are controlled by one group or the other for decades. In the 1990s, the core of sovereigntism has lied in the six states that form the Gulf Cooperation Council (GCC). These are, in an alphabetical order, Bahrain, Kuwait, Qatar, Oman, Saudi Arabia, and the United Arab Emirates (UAE). In these states, both rulers and citizens cherish sovereignty and independence to the extent that the word "state" has become part of the official name of the country, such as in the cases of Bahrain, Kuwait, Qatar, and the UAE. While the rest of Arab states are unionist, Egypt, Iraq, Libya, Syria, and Yemen have been more active in pursuing unification. Some states changed their position from a decade to another. For example, Nasserite Egypt played a leading role in unification throughout the 1950s and the 1960s. However, Egypt became less active after Nasser. Saudi Arabia was unionist in the 1950s but it has led the sovereigntist GCC camp since 1981. In the 1950s, King Saud entered into unionist agreements with Egypt and Yemen. Before that, his father, King Abdul Aziz founded Saudi Arabia by unifying the autonomous regions of the Arabian Peninsula, between 1901 and 1932. A few studies were conducted to measure attitudes of Arabs toward the notions of nation and state. These studies were conducted among university students from various Arab states. Results from the American University in Beirut and Northeastern University in the U.S. demonstrated a strong affiliation to Arab nationalism among these students. Results from Kuwait University showed preference for religion over the national origin. Students from the GCC states were more likely to feel strongly against the notion of the unification of Arab states (Table 1). However, because citizens of the Gulf states represent only about 5% of the Arab nation, their attitudes may not be as visible in more comprehensive studies. Sa'ad Eddin Ibrahim conducted a comprehensive study on attitudes towards Arab Unity in 1977, 1978, and 1979. The study involved 5,557 people from ten Arab states (Morocco, Tunisia, Egypt, Sudan, Jordan, Lebanon, Kuwait, Qatar, Yemen, and Palestine). The majority demanded a higher level of cooperation between Arab states that may transcend the Arab League arrangements. They demanded that Arab states be unified either in the form of a union or a federation. Peasants, workers, and students were more enthusiastic about Arab unity than were the intellectual elites. Thus, Arabs are split between unity and sovereignty. While Kuwait belongs to the sovereigntist block, Iraq is a leading unionist state. They found themselves on a collision course since the beginning of the 20th century. While rulers of Kuwait found their salvation in being independent in a state under the British protection, Iraqis did not stop their attempts to restore Kuwait. Britain has always been in the way obstructing that dream, sometimes alone and recently supported by other regional and Western powers. Britain not only separated Kuwait from Iraq but also invaded and controlled Iraq for decades. The British troops started the invasion at the beginning of World War I, in 1914, and completed it by the end of the war, in 1918. The Shaikh of Kuwait, Mubarak Al-Sabah, assisted the British military efforts during the war. He attacked the Iraqi positions at Safwan, Um Qasr, Bubayan Island, and Basrah. The British then controlled the country and its government. When King Faisal Bin Al-Hussain was deposed and expelled from Syria by the French in 1920, the British brought him to Iraq. They arranged for him to become the first king of the country in 1921. They did that in reward for the Hashemite support for Britain against the Ottoman government in World War I. In 1932, Iraq was allowed to join the League of Nations as a sovereign state. King Faisal died in 1933 and was succeeded by his son, Ghazi. The young king was an Arab nationalist who understood the British imperialist hegemony in the Middle East. He led a continuous media campaign against Shaikh Ahmed Al-Jaber Al-Sabah, ruler of Kuwait, and called for the unification of Iraq and Kuwait. In 1939, King Ghazi signed an Arab nationalist agreement with King Abdul Aziz Al-Saud. When Ghazi died in an automobile accident, in the same year, Iraqis demonstrated against the British accusing them of responsibility for the incident. Ghazi's son, Faisal II, became a titular king, as he was three-years old. The regent of the throne, Abdul-Ilah, submitted to the British will. He allowed the pro-British, Noori Al-Sa'id, to form the new Iraqi government. Arab nationalists became very angry and pressured Al-Sa'id to resign. In 1940, Rashid Ali Al-Kilani, an Arab nationalist, replaced him and refused to support the British war effort. In response, the British reinvaded Iraq ending the Arab nationalist revolt in May 1941 and bringing back their man, Noori Al-Sa'id, to form a Pro-British government. However, the British influence in Iraq came to an end on July 14, 1958, when Abdul-Karim Qassem led a military coup that ended the monarchy in the country. The revolutionary government sought an independent path. Within a year, in 1959, Iraq withdrew from the sterling bloc and the Central Treaty Organization (CENTO), which was a Pro-British regional alliance that included Iraq, Turkey, Iran, and Pakistan. In 1961, Qassem marched to restore Kuwait following the British withdrawal but his attempt was aborted by Britain and some members of the Arab League. On February 8, 1963, Qassem was overthrown and killed in another military coup that was led by Ahmed Hassan El-Bakr and Saddam Hussain. While El-Bakr became the Prime Minister, Abdul-Salam Aref became the President of Iraq. In 1966, Abdul-Salam Aref was killed in a helicopter crash and was succeeded by his brother Abdul-Rahman, who stayed in power until July 17, 1968. Aref was overthrown, El-Bakr became the President and Saddam Hussain became the Vice President. In 1979, El-Bakr resigned allowing Saddam to become the fifth president of Iraq. The Iraqi republican governments were consistent in their Arab nationalist policies. During the 1960s, they were active in pursuing unification with Egypt and Syria. In June 1, 1972, the Iraqi government nationalized the Iraq Oil Company, a step that was echoed in other oil-exporting Arab states. The company was known as the Turkish Petroleum Company in 1925 when it was given a 25-year concession in Iraq. In 1952, a new agreement was reached, which increased oil production and gave Iraq half of the profits. This was influenced by the Musaddaq's nationalization of oil in Iran in 1951. Following the 1958 revolution, the Iraqi government entered negotiations with the oil companies, in the country in an attempt to increase its revenues. The oil companies were reluctant to do so, which resulted in a stalemate. At that point, the Iraqi government took back, by decree, 99.5 percent of the territories, which were given in concessions to oil companies. Thus, Iraq was labeled by the lobby of oil companies as following anti-Western policies, particularly if compared with other oil-exporting Arab states. In the region as a whole, Western oil companies continued to receive enormous amounts of profits that reached about 1115 percent of its costs, in the 1970s. Three major factors had contributed to that oil bonanza. First, Western oil concessions included the largest oil fields in the world, namely Burgan in Kuwait, Ghawar in Saudi Arabia, and Kirkuk in Iraq. Second, costs of production in the Middle East were minimal in comparison to these in other parts of the world. More than 90 percent of the Arab oil flows by its own pressure without pumping. This allows the average Arab oil well to produce about 5,000 barrels of oil per day in comparison to 12 barrels in the U.S., 80 barrels in Russia, and 300 barrels in Venezuela. Third, the agreements of oil concessions allowed Western oil companies to receive profits almost three times higher than those received by the producing Arab states. While annual profits of these companies reached about $91.8 billion in the 1970s, Arab revenues were only $35.8 billion. At the beginning of the twentieth century, rival Arab leaders aligned themselves either with the Ottomans or with the British. However, the international competition over oil concessions intensified inter-Arab rivalry and conflict over resources. Between World War II and 1973, oil revenues increased in a slow but a steady scale that allowed oil-exporting Arab states to become much better off than their less fortunate brethren. The October 1973 War and the Arab oil embargo that followed led to a large increase in oil prices. That contributed to deepening the gap between the two groups of Arab states, even further. The Organization of Petroleum Exporting Countries (OPEC) was established in Baghdad by Iraq, Iran, Kuwait, Saudi Arabia, and Venzuela, in 1960. Until 1973, oil prices were as low as $2 per barrel. As a result of the 1973/1974 oil embargo, oil prices began to increase rapidly, reaching about $12.60 per barrel in 1974, $29.63 in 1979, and $33.94 in 1980. Accordingly, oil revenues of the major oil-exporting Arab states increased from about $4.5 billion in 1970 to about $12.5 billion in 1973. In 1974, revenues jumped to about $51.5 billion and kept increasing until 1980 when they reached about $205.4 billion. A decline in oil prices followed causing revenues also to decline reaching about $186.7 billion in 1981 and $135 billion in 1982, then kept declining until 1988 when revenues reached about $60 billion. An increase has been happening in most years since 1989 reaching about $95 billion in 1996 (Table I.1). Between 1974 and 1996 (excluding 1984 and 1986), oil revenues of these Arab states reached about $1.956 trillion. As a result, the oil wealth split Arab states into two groups. The first group became wealthier while having a smaller population. The second group became in debt to major international creditors although it had majority of the Arab population. The gap between the two groups has continued to increase ever since, particularly because of the lack of integration between them. While the wealthy states had a surplus capital throughout the 1970s and most of the 1980s, the rest of the Arab states had a foreign debt of $61.6 billion in 1980 and about $120 billion in 1995 (Table IV.2). Instead of helping out by investing in the region, the wealthy states invested in developed societies, mainly in Western Europe, North America, and Japan. Actually, half of the Arab financial surpluses were invested in the United States and the United Kingdom. By 1980, the Arab investments in the United States had reached about $100 billion from Saudi Arabia, $55 billion from Kuwait, and $40 billion from the United Arab Emirates. Investment of surplus Arab oil revenues in the West continued throughout the 1980s and the 1990s reaching about $800 billion by 1998. The interests that the wealthy Arab states received from their foreign investments reached about $27.1 billion, in 1980. Had there been a will to help the other poor Arab states, they could have paid their debts just out of the interests on their investments. Instead, foreign debts increased in the poor states to the extent that servicing the debts became a heavy and unbearable burden. In 1979, Algeria, Morocco, and Egypt used 25.6 percent, 21 percent, and 15.8 percent of their exports, respectively, just to service their foreign debts. Interest rates on these debts were so high that Egypt actually used about 36% of the loans it borrowed for that purpose. For example, the World Bank gave Egypt $1.4 billion of loans in ten years. Only $400 million of them were used and the rest were paid as interests on these loans. One loan was $3.5 million and its interests reached $12 million. Another loan was $4.5 million and its paid interests reached $12 million. In 1976, a $4.5 million World Bank loan, used in building a sewage system, was paid back with $11 million in interests. Another $3.5 million loan was used in an agricultural project and was paid back with $12 million of interests. In 1970, the Egyptian debts were $600 million. In 1980, just in one decade, these debts reached $16 billion. The annual interests on the debt reached more than $1 billion. Actually, two-thirds of the payments were interests and the rest was a payment of the principal. In other words, all the Egyptian oil exports were used to pay the interests and all the cotton exports were used to pay the principal debt. By 1995, the foreign debts on poor Arab states almost doubled reaching about $34.6 billion on Egypt, $22 on Morocco, $17 billion on Sudan, $22.2 billion on Syria, and $8.9 billion on Yemen (Table IV.2). Developmental assistance from the Arab members of OPEC (OAPEC) to Third World countries reached about $5.6 billion in 1975, $5.1 billion in 1976, $5.9 billion in 1977, $7.8 billion in 1978, $7.6 billion in 1979, $8.9 billion in 1980, $8.4 billion in 1981, $5.8 billion in 1982, and $5.1 billion in 1983. However, their assistance to other Arab states was hardly felt by the average Arab citizen. The huge oil wealth that was generated following the 1973 October War was not used to benefit the Arab Nation as a whole. Actually, it has alienated the majority of Arabs from their wealthy brethren. In addition to the meager assistance from the wealthy to the poor states, there have also been various forms of discrimination against non-citizen Arabs in the wealthy states. Oil revenues have created a continuous need for imported labor. In 1975, immigrants represented 86 percent of the labor force in the U.A.E., 74 percent in Qatar, 70 percent in Kuwait, 42 percent in Libya, 35 percent in Saudi Arabia, and 23 percent in Bahrain. In the 1980s, the percentage of immigrants decreased in some Gulf states. However, they continued to constitute the majority of the labor force in the United Arab Emirates (75.4 percent), in 1984, and in Kuwait (59.8 percent), in 1985. In Bahrain, they constituted 34.8 percent of the labor force, in 1984. In spite of the fact that the vast majority of immigrants stay, the Arab Gulf states have not seriously addressed the issue of naturalizing them. Officially, most Arab states, including the Gulf states, have provisions in their naturalization laws that allow immigrants to acquire citizenship. In practice, most Arab governments ignore these provisions. For example, Arab immigrants may qualify for citizenship if they stay 4 years in Jordan, 5 years in Lebanon and Syria, 10 years in Egypt, Iraq, and the United Arab Emirates, and 15 years in Bahrain and Kuwait. Similar to naturalization laws is the Agreement on Economic Unity, which was drafted by the League of Arab States' Economic Council in 1957. It endorsed the principle of freedom of movement among member states. However, few states have actually ratified it. Had Arabs been allowed to move freely between their states, the need for citizenship or permanent-resident status would have been reduced. As a result of these restrictions on travel and work of Arabs in their homeland, the highly skilled among them have left the Middle East to the more developed regions of the world. In 1975, there were about 24,000 Arab medical doctors, 17,000 engineers, 7,000 scientists, and even about 200 nuclear physicists in the Western industrial societies. The same trend has continued throughout the 1980s and the 1990s. Thus, while wealthy Arab states discouraged inter-Arab immigration of skilled labor, Western societies encouraged such immigrants through offering them permanent residence and citizenship. In fact, depriving immigrants of citizenship and permanent-residence rights contributed to widening the gap between the two groups of Arab states. Acknowledging the existence of this gap, the six wealthy Arabian Gulf states of Bahrain, Kuwait, Oman, Qatar, Saudi Arabia, and the United Arab Emirates, felt the need to group together. They wanted to form an entity that would differentiate them from the rest of the Arab states. The first attempt for such grouping was a Kuwaiti initiative in 1976. However, the first summit conference for these states was convened in May 1981 and resulted in the establishment of the "Cooperation Council of the Arab Gulf States." For brevity purposes, the group is more commonly known as the Gulf Cooperation Council (GCC). Riyadh was chosen as the headquarters of the Council indicating Saudi Arabia's most powerful position in the group. The former Kuwaiti Ambassador to the United Nations, Abdullah Yakub Bishara, was appointed as the Council's Secretary-General. His appointment indicated recognition of the Kuwaiti efforts in establishing the Council. The Conference discussed two initiatives about its entity. The first was presented by Oman and emphasized the uniqueness of the Council states. The Omani initiative called the GCC states to look to the West for security and protection from regional and international dangers. In particular, the Soviet invasion of Afghanistan and the Iranian revolution in 1979 were cited as reasons that supported the Omani argument. The Kuwaiti initiative emphasized that the Gulf security should not be separated from the Arab national security. Therefore, the Council states should continue their non-aligned position towards the two world superpowers (the U.S. and the Soviet Union). Thus, the Kuwaiti initiative rejected the political underpinnings of the Omani initiative. Instead, Kuwaitis called for cooperation in the economic, financial, trade, and social fields. The Council adopted the Kuwaiti initiative and called for keeping the Gulf area free from international conflicts. The Council also appealed to the international powers to keep their fleets away from the Gulf. Moreover, the council reaffirmed its Arab identity by expressing its support for the Lebanese, Palestinians, and Syrians in their struggle to free their territories from the Israeli military occupation. Thus, in spite of the Kuwaiti enthusiasm in creating the "Gulf" entity, Kuwaitis still wanted to maintain some ties with other Arabs. In particular, they wanted to convey special messages to Egyptians and Palestinians. They could not afford forgetting the Egyptian interventions in Arabia in the 19th and 20th centuries, which strengthened Kuwaitis vis-à-vis their more powerful neighbors to the north (Iraqis) and south (Saudis). Kuwaitis also wanted to convey a message to Palestinians who constituted the largest immigrant community in the country. They wanted to assure them that Kuwait would continue its support for the Palestinian cause. Nevertheless, that gesture did very little to cool off the disappointment of other Arabs many of whom were hoping to develop the Arab League to reach a higher level of Arab unity. For these Arabs, the GCC was perceived as a backward step towards more disunity, separation, and dismemberment of the Arab nation. Therefore, other Arab states started thinking about grouping together in what became known as the Arab Cooperation Council. When the GCC was founded in 1981, it was perceived as the exclusive club of the wealthy Gulf Arabs. In particular, Iraq and Yemen were most unhappy about it. As a Gulf state and oil exporter, Iraq qualified to be a member of the GCC. Yemen expected to be invited to the club membership as an Arabian Peninsula state. Both Iraq and Yemen felt betrayed and looked for other Arab states, which might be willing to form a rival Arab alliance. Egypt and Jordan were ideal for Iraq because of their support during its war with Iran. Moreover, Jordanians, Egyptians, and Yemenis began to look for Iraq as a new market for their surplus labor, particularly due to the expected postwar reconstruction. More important for Arab migrant workers was the fact that Iraqi immigration laws and practices allowed Arab nationals to live permanently and even acquire citizenship, which is almost impossible to attain in the GCC states. Thus, on February 23, 1989, Egypt, Iraq, Jordan, and Yemen founded the Arab Cooperation Council (ACC). During the following year and a half, Iraq felt more betrayed by the Arab Gulf states. With a population of 17 million people, Iraq had a war debt of about $75 billion. About $35 billion of that debt was owed to Kuwait and Saudi Arabia. In particular, Kuwait expressed its unwillingness to forgive the Iraqi war debts. Iraqis believed that they were defending all other Gulf states, not just Iraq. Therefore, forgiving the debt was the least they expected from their Arab brethren in the Gulf. In addition to that, Kuwait and the United Arab Emirates started to overproduce oil in violation to OPEC’s quotas, which contributed to a sharp decline in oil prices. In 1986, Kuwait was reluctant to accept OPEC's 1.25 million barrels per day (bpd) quota of oil production. In 1989, it rejected an OPEC's level of about 1.1 million bpd. In early 1990, Kuwait challenged OPEC by producing about 2 million bpd. That Kuwaiti behavior contributed to the sharp decline of oil prices, which denied Iraq the money it needed for postwar reconstruction. 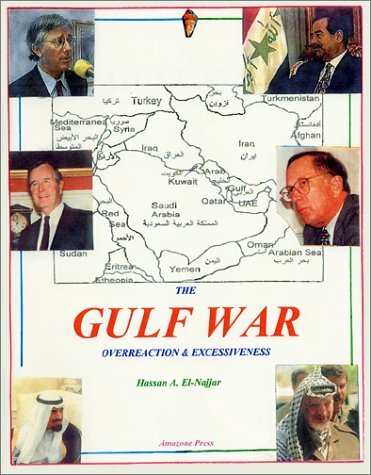 Thus, by 1990, Iraq felt that the GCC states, particularly Kuwait, were conspiring with the West to bring Iraq down. The Iraqi fears increased when the United States started to exert pressures on Iraq. The Bush administration cracked down on the BNL bank, which was functioning as a liaison between Iraq and American financial institutions. American banks even suggested the establishment of an international consortium to manage Iraq's finances on behalf of the creditors. This suggestion sounded like the late 19th century developments that led to the Anglo-French financial management of the Egyptian treasury, which finally led to the British occupation of Egypt in 1882. Arabs have become very sensitive to such ideas ever since and may perceive them as indications of an imminent foreign assault on their sovereignty. Such ideas might have contributed to the Iraqi fears that the United States was preparing to bring Iraq down, in collaboration with Kuwait. The events that followed were so fast that the ACC lived only for about one and a half years. It did not survive the 1990 crisis as Egypt sided with Kuwait against Iraq. The GCC, however, continued as the exclusive club of the pro-Western wealthy Arabs. In spite of that, Arab nationalism did not disappear completely as a unifying force. Only the future will tell how it is going to survive the Gulf War. In their arguments, Arab unionists have cited Arab nationalism as a means for the unification of the Arab homeland. Like other nationalists, they have mentioned language and history as the two main requirements of nationalism. The European nationalist experience is often cited by Arab nationalists as the example to be followed. The formation of distinct European nation-states was justified by a common language, history, and habits of everyday life. The objective was to represent and protect ethnically homogeneous groups. In the 20th century, states have expanded to include various ethnic, racial, regional, and religious groups. In other words, they have become multi-national states. In the new world, states have accommodated immigrant groups of different national origins. In China and India, the state has represented interests of several nations. This was also the case in the previous Soviet Union and the Eastern European states before their collapse in late 1980s. These multi-national states have worked hard for the integration of their diverse social groups and nationalities. This has been facilitated by industrialization and modern public institutions such as education and mass communication. States also have worked diligently to allow minority and disadvantaged groups more participation in politics and more access to resources. The efforts to integrate various social groups into the larger society have been successful in all continents. However, the collapse of the Soviet Union and the Eastern European states in late 1980s provided evidence against the "integration of nationalities" thesis. Republics broke away from the Soviet and the Yugoslav Unions on basis of nationality. Even in 1999, more republics were trying to break away from the Russian Federation, particularly Chechnya and other small Muslim republics. Although the collapse of these unions may be attributed to economic factors, its nationalistic expression may be considered as an indicator to the strength of nationalism for decades to come. Surprisingly, nationalist ties are so strong that nation-states have replaced Eastern European multi-national states in a very short time. But how did this happen so quickly? Nationalism may be reached when ethnic consciousness increases to the level of an active political identity. National ties become stronger when a population realizes that its common interests or its integrity are under threat. Nationalism may also be perceived as an individual choice. Individuals act on their best interests when they identify with their ethnic groups. Such groups provide their members with security, more comfortable environment, and access to positions under their control. People are attached to their nations by linguistic, racial, religious, community, and kinship ties. Such attachment may not require living in the same nation-state. This means that nationhood may precede statehood. Therefore, international norms accept the right of every nation for national self-determination. Nationalism still offers variety of services to ambitious leaders and elite groups. It has been used to prepare and mobilize people for war, such as in the cases of Nazi Germany and Stalinist Russia. In the United States, it has been used to mobilize people to support the government's hard-to-still projects. Examples of these were the 1984 Los Angeles Olympic Games, the 1991 Gulf War, Japan-bashing in early 1990s. The German nationalist experience in the 19th century showed that language and history played a major role in the formation of that nation. Prussia started to expand the education of teachers and the development of a nationalist curriculum at the end of the war with Napoleon. This resulted in mobilizing the German people during the war. Several German politicians admitted that their country won the 1866 war against Austria and the 1872 war against France because of adopting a nationalistic educational policy. In spite of the success of nationalism as a tool to mobilize people for war, national liberation, and nation building, there are indications that nationalism has its own disadvantages, too. Developed economies favor international settings as they are globally oriented. This leads to the weakening of nation-states, which will, gradually, have less access to financial resources and less control over the mobile world labor market. The European Union is an example of how nation-states evolve into multi-national economic regions. This may be an indication that there will be a small number of these developed multi-national economic regions in the future. However, the less developed societies in Africa, Asia, and Latin America may continue as nation-states until their economies are developed enough to transcend their national limitations. Thus, it may be argued that nationalism will continue at least in developing societies. It follows that the quest for Arab nationalism will continue for a long time to come. Arab nationalists argue that Arabs who live between the Atlantic Ocean and the Arabian Gulf constitute one nation and are entitled to having one nation-state. They perceive Arab nationalism as a means to unify the separated Arab states, liberate the occupied Arab territories, and defend the homeland against foreign invaders. This is consistent with the literature about nationalism in general. With their less developed economies, Arabs still need to struggle for achieving the stage of a nation-state. Arabs also are attached to one-another by linguistic, racial, religious, and historical ties. However, Arab nationalism has faced serious problems reflected in the split of the Arab states into the two main groups of unionists and sovereigntists. The conflict between the two groups can be more understood by analyzing their positions towards the notions of Arab nationalism and its practical application, Arab unity. For sovereigntists, who benefit from the status quo, Arab unity means solidarity with and support for other fellow Arabs. However, it does not reach the level of merger or unification with other Arab states. The position of the United Arab Emirates (UAE) is the closest to the ideal type of this group. The generous contributions of the President, Shaikh Zayid, his government, and the people cannot be denied. The UAE’s financial and moral support for the poor Arab states has been evident before and after the Gulf war. However, immigration laws are still the same. Fellow Arabs cannot obtain citizenship or even permanent-residence status. Simply, the idea of naturalizing immigrants to become citizens is not there. Thus, Arab unity for the UAE is a kind of assistance to the governments of poor Arab states, but it is not extended to fellow Arab individuals living in the country as immigrants for decades. For unionists, Arab unity means unifying Arabs in one country that replaces the present separate sovereign states. This means one Arab citizenship, sharing of oil wealth, and equal treatment of citizens and immigrants. Apparently, the two groups of Arab states disagree on the meaning of Arab unity. Unionists consider Arabs as one nation living in one homeland that was dismembered by European imperialists at the end of WWI. Therefore, unification of this homeland represents a national liberation as well as a necessity for a balanced social and economic development. Sovereigntists agree that they belong to the same Arab nation but they argue that they have lived in sovereign states throughout the twentieth century. They acknowledge their Arab identity in their constitutions, which state that they are part of the Arab Nation. However, they cherish the independence of their states and they do not seek unification. The unionist argument draws mainly on language and history. Arabs lived in the Middle East for thousands of years but Arabic speakers have become the majority in the region since the eighth century. This has happened as a result of the spread of Islam and the adoption of Arabic as a medium of communication. People were more ready to Arabize in the Middle East than in farther territories in Asia and Africa. For example, in Asia Turks, Persians, central Asians, Pakistanis, Afghanis, Malayans, and Indonesians accepted the Islamic faith but did not adopt Arabic. The same applied to sub-Saharan, West African, and East African Muslims. In the case of Andalusia, or Arabian Spain, the indigenous population neither accepted Arabic nor Islam. Therefore, Arabic and Islam disappeared from the Iberian Peninsula by the end of the 15th century, after about eight hundred years of continuous presence there. Before the seventh century, most of the indigenous Arabs, Al-Arab Al-Ariba, lived in the Arabian Peninsula. To the north of Arabia, the Ghassan Arabs lived in Palestine and Jordan and the Monther Arabs lived in Iraq. When other Middle Easterners and north Africans accepted Arabic as their own medium of communication, they became Arabized, Musta'irib. The Arab and Arabized groups intermarried and interacted for more than 1400 years. This has led to the creation of the present Arab Nation. Although the vast majority of Arabs are also Muslims, Islam is not a requirement of Arabism. Actually, Christian Arabs have played a pioneering role in the revival of Arab nationalism throughout the twentieth century. For example, the two major Arab nationalist political organizations, the Arab Nationalist Movement and the Arab Ba'ath Party, were founded by two Christians: the Palestinian George Habash and the Syrian Michelle Aflaq, respectively. In addition to the same language, Arabs also share the same history. They enjoyed living together during the Umayyad (661-750 A.D.) and Abbasid (750-1258 A.D.) Arab empires. However, Arabs suffered from the successive invasions of European crusaders who were defeated by Salahuddin in 1187. The Mongols devastated Baghdad, the capital of the Abbasid empire, in 1258 but were stopped by the Egyptian Mamluks in Ain Jalut, Palestine, in 1260. The Ottoman Turks defeated the Mamluks and ended their rule in 1517. Arabs were unified again under the Ottoman rule until the 1880s. Then, Arab provinces started to fall, one after the other, under the occupation of European imperialist powers. During the last two decades of the 19th century, Britain occupied Egypt, the Sudan, and the Arabian Gulf chiefdoms. While Spain occupied parts of Morocco, France occupied Algeria, the rest of Morocco, and Tunisia. Then in 1911, Italy occupied Libya. By the end of World War I, Britain occupied Iraq, Jordan, and Palestine, and France occupied Lebanon and Syria. This common history of glory and suffering also has reinforced the feelings of Arabs that they have constituted one nation. As Sati' Al-Husri argued for more than half a century, sharing a common history and a common language is what makes Arabs one nation. Al-Husri's study of the European nationalist movements influenced his thinking. In particular, he observed that the 19th century separated German or Italian states could not be unified if people there did not share a common language and a common history. He then concluded that because Arabs had the same characteristics, they constituted one nation. As a result, they would ultimately aspire for unifying their separate states into one homeland. The 14th century Arab sociologist, Ibn Khaldun, pointed to the importance of nationalism for civilization. He argued that rulers need support from their closest relatives or ruling elite (Assabiya) who are also supported by a larger Assabiya (a population group). Thus, for a rule to be established some sort of homogeneity among the population should exist together with loyalty to the ruling elite. This loyalty to the group is necessary to resolve the conflict between the human need for construction and civilization (Omran) and the tendency of some people to lean towards destruction and aggression. In family as well as in community contexts, individuals find it necessary to interact and cooperate in order to live in a civilized lifestyle. At the same time, people have a need for security within the community and for defense against outside aggression. The two types of needs create a feeling of interdependence, solidarity, and loyalty to the tribe, community, or nation. Although Ibn Khaldun did not use the word nationalism to express this social phenomenon, his analysis is still valid even in the 21st century. He considered national solidarity or group loyalty as a necessary means for historical conflict resolution in society and consequently for civilization. Actually, what Ibn Khaldun strongly argued for is still there. Throughout the 20th century, Arabs have felt the need for interdependence, solidarity, and loyalty to the nation as a whole in order to gain independence from the European imperialist rule. Now, the need is overwhelming for a balanced social and economic development, Omran, in the Arab region. The oil-exporting Arab states are wealthy but have small populations, which makes them in continuous need for labor. The rest of the Arab states have a surplus of labor but in need for the capital necessary for their economic development. If the Arab states were unified, the two groups would integrate each other. For Arab nationalists, then, unification is a necessity because it is a requirement for a balanced social and economic development (Omran). Thus, Arab nationalists look at history as a source of support for unity. For them, Arab nationalism has become synonymous to the unification of the Arab homeland that extends from Morocco on the Atlantic Ocean to Kuwait on the Arabian Gulf. For sovereigntists, on the other hand, a century of sovereignty under the Western protection has been sufficient for the continuation of the status quo. Sovereignty has become synonymous to freedom, independence, and wealth. Clearly, the 1990 Iraqi-Kuwaiti crisis and the 1991 Gulf War that followed represented a dimension of that conflicting perception of Arab nationalism and Arab unity. The end outcome was a victory for sovereigntists and their political discourse over unionists and their version of Arab nationalism. In order for unionists to resume their struggle, they need to come up with new methods, new strategies, and even new vocabulary. The 20th century concepts (Appendix IV.A) may not be suitable to appeal to people in the 21st century. Among the most important developments that happened during the 1990s was the emergence of Islamists as the main challenge to the status quo. This fact necessitates reviewing the relationship between Arab nationalists and Islamists. It is hard to perceive Arab nationalism as separate from its Islamic heritage. However, some developments at the turn and the end of the 20th century showed the two as if they were in conflict. As a reaction to the Turkish nationalist movement, Arab intellectuals started to form Arab nationalist organizations that aimed at the independence of the Arab homeland (Appendix IV.B). Their major fear was falling under the rule of the victorious European powers. Their fear became reality when the European powers succeeded in dividing the Arab homeland into several separated states. Arab nationalists then realized that the struggle for true Arab independence cannot be separated from the struggle for unification. Islam has been a major force in the Arab national liberation movement. In the Maghreb (Algeria, Mauritania, Morocco, and Tunisia), Berbers are so proud of their Islamic heritage that they are eager to learn and speak Arabic. They feel and express solidarity with other Arabs. More important is that they also call for unification. In Algeria, Ibn Badis and other members of the Council of Islamic Scholars revived the nationalist movement by reviving Islamic teachings and Arab culture at the same time. Struggle against the French occupation was not separated from Arabization. Even during the Algerian Civil War in the 1990s, Berbers did not call for separation. Like the majority of Arabs in the country, they have struggled for democracy and Arabization. In Tunisia, Al Tha'alibi and his associates issued the Arabic newspaper, "Al-Tunisi," before World War I. They wanted to educate younger generations of their Arab heritage, which enabled them to resist the French cultural assault. In 1920, they established the Tunisian Free Constitutional Party, which led the struggle untill independence and beyond. Al-Tha'alibi was an excellent example of combining Islamism with Arab nationalism. He linked the Tunisian resistance movement with its counterparts in Egypt, Algeria, and Morocco. The Muslim Brotherhood group has been the most prominent Islamic organization in the area since its establishment by Hassan El-Banna, in 1928. However, by practice, it may be considered as a major Arab nationalist organization. It spread quickly in Egypt, Iraq, Palestine, and Syria. Its first conference in the Palestinian city of Yaffa, in the same year, reflected the group's interest in the Arab unity. El-Banna emphasized that "Arabs are the guards of Islam ...; therefore, it's the duty of every Muslim to revive and support Arab unity." Thus, the Brotherhood's interest in Palestine is based on the fact that it is an Arab land that hosts Islam's third holiest shrines, Al-Aqsa Mosque. The group aimed at teaching the masses and reviving Islamic solidarity. Thus, it differentiated itself from the religious establishment of preachers who catered for governments rather than people. El-Banna attacked the Egyptian nationalism, which was promoted by Salama Musa. Instead, he proposed the Islamic brotherhood and Arab nationalism. In 1934, he wrote that Arab nationalism is the expression of aspirations of Arabs from the (Atlantic) Ocean to the (Arabian) Gulf. He also supported the Arab League when it was established in 1946. In several occasions throughout his life, he emphasized that Islam prospers if Arabs prosper and it loses if they are humiliated. This means that if Arab nationalism aims at achieving Arab prosperity, it is the duty of Muslims to support it. However, many Islamic writers criticized Arab nationalism as it separated Muslim Arabs from other Muslims. Among these were Abu Al-Ala Al-Mawdudi, Seyid Qutb, Abu Al-Hassan Al-Nadawi, and Sa'id Hawa. Because of the conflict between the Nasser government and the Muslim Brotherhood in the 1950s and the 1960s, the distance increased between Arab nationalists and Islamists. However, a 1980 study showed that the vast majority of people did not see a contradiction between Arab nationalism and Islam. The study was conducted by Sa'ad Eddin Ibrahim from the Center for Arab Unity Studies. Respondents were from several Arab states (Egypt, Jordan, Lebanon, Morocco, Palestine, Sudan, and Tunisia). About 88 percent agreed that a relationship existed between Arab nationalism and Islam. About 91.6 percent agreed that Arabs as a whole constitute one entity, and about 77.9 percent agreed that Arabs constitute one nation. In a comprehensive study conducted by Sa'ad Eddin Ibrahim on Arab unity, about 60 percent of respondents believed that Islam is a central pillar of Arab nationalism. About one-third of them saw Arab unity happening along Islamic lines. Thus, the majority of Arabs did not see a genuine contradiction between Arab nationalism and Islam. However, whenever the contradiction between unionists and sovereigntists intensified, like in the 1960s after the Syrian secession and during the Yemeni War, Arab nationalists were falsely accused of opposing Islam. One support for that accusation was the adoption of an Arab form of socialism. At the turn of the 20th century, Arab nationalism was a reaction to Turkish nationalism. The three monarchs of Arabia, Sherif Hussain Bin Ali, Abdul-Aziz Al-Saud, and Mubarak Al-Sabah, allied themselves with Britain in World War I in order to gain independence from the Ottoman rule. When the British and the French double-crossed the Arabs by occupying the Arab homeland after the war, Arab nationalism became more oriented towards liberation from the European occupation. Military confrontations against occupiers occurred in 1924-1925 in Syria, 1936 in Palestine, 1941 in Iraq, 1956 in Egypt and the Palestinian territory of Gaza Strip, and throughout the 1950s in the Maghreb states of Algeria, Morocco, and Tunisia. In Libya, resistance against the Italian occupation continued from 1911 until 1931. Civilian disobedience and protests never stopped. As a result of that continuous struggle, most Arab states gained their political independence between 1945 and 1971. During the 1950s and the 1960s, several unification attempts failed. Arab nationalist leaders realized that political independence of sovereign states constituted a major obstacle to unification. The elite groups in each state have formed a ruling class that has a vested interest in keeping states sovereign and independent from one-another. Therefore, the Arab nationalist movement began to drift towards class struggle. The class-neutral Arab national liberation movement transformed itself into a socialist movement, as early as the 1950s. The founder of the Ba'ath Party, Michelle Aflaq, used the socialist rhetoric in his early speeches. The party was even officially called the Socialist Arab Ba'ath Party. The Movement of Arab Nationalists, which was founded by George Habash transformed itself into the Popular Front for the Liberation of Palestine (PFLP). The Egyptian ruling party, which was known as the Nationalist Union became the Arab Socialist Union. In Tunisia, the ruling party became the Constitutional Socialist Party. The transformation to Arab socialism was also evident in the policies of the revolutionary governments of Algeria, Egypt, Iraq, Libya, Sudan, Syria, and Yemen, where most Arabs lived. The Egyptian experience is particularly educational as Egypt led the Arab nationalist movement in the 1950s and the 1960s. When Jamal Abdul-Nasser successfully led the young Free Officers' coup on July 23, 1952, he appointed General Muhammed Najib as a facade President. In 1954, he removed him from office and became the second president of Egypt. In his speeches after that as a president, he started to refer to Egyptians as a people (Sha'ab) and to Arabs together as a nation (Ummah). To him, Arab nationalism was a nationality, a revolutionary experience, a liberation movement, and a means for unification. Transformation towards socialism started at mid-1960s when ownership of agricultural land became limited. Lands of big landowners were confiscated then were distributed among peasants. Arab socialism was different from Soviet socialism in that the private ownership of lands and businesses continued but with limitation on expansion. However, the public sector grew to the extent that the government became the main employer. Arab nationalism was still necessary as a means for liberation and unification. Therefore, Nasser found himself sometimes at odds with the Soviet socialist ideology. In July 1964, he invited the Soviet leader Nikita Khrushchev to visit Egypt to participate in the celebration of changing the Nile course near Aswan. It was in recognition of the Soviet assistance in building the High Dam. Present also were the Iraqi President Abdul-Salam Aref, and the Algerian President Ahmed Bin-Bella. When Aref spoke about Arab nationalism as the basis of unity among Arabs, the Soviet leader objected. He pointed that there were more common grounds between Arab and Soviet workers than between Arab workers and Arab capitalists. His objective was to de-emphasize nationalism and emphasize class as a basis for struggle. Nasser responded reminding the Soviet leader that the Soviet Union also used nationalism as a tool to mobilize people during World War II. He argued that the Soviet leadership resurrected Russian nationalism by making and distributing medals of Peter-the-Great and other early Russian nationalists. Nasser's point was that Arabs had the right to use nationalism as a means in their struggle to establish their own nation-state, which has not been achieved yet. As soon as Nasser took power, he found himself in confrontation with the various existing political powers. His version of socialism was opposed by Muslim Brothers and communists alike. But it was denying them any opportunity to share power with him that contributed to the confrontation with them. For him, liberation and unification necessitated concentration of power in his hand, through the one-party system. Thus, he was in confrontation with them throughout the 1950s and the 1960s. In fact, there were many missed opportunities for strengthening his revolution, as a result. As a national liberation leader, he could have found common grounds with these two ideologies, which transcend nationalism. However, like the vast majority of Third World leaders at that time, he was not ready to share power with them. The one-party system that he followed excluded other political powers from the political process. Members of these prohibited groups and political parties were imprisoned mainly because they had a different vision of how problems can be solved. Persecution of members of these groups even extended to the Egyptian-administered Palestinian territory of Gaza Strip. These should not have been punished for exercising their natural right to organize in order to resist Israel. However, when Nasser took power in 1952, some active members from the Muslim Brotherhood (Al-Ikhwan Al-Muslimun) and the Palestine Liberation League ("Ussbat Tahrir Filistin) were in Gaza Central Prison. Among these were Salah Khalaf and Izziddin Gharbiyeh from the Brotherhood together with Abdul-Rahman Awadallah and others from the League. When they heard the news about the Nasser's "revolution," they danced out of happiness expecting that they would be out of prison soon. When this did not happen, they started a hunger strike. Najib visited them to listen to their grievances and promised to free them as soon as he returned to Cairo. This never happened and they completed their sentences. When they were finally allowed to leave Gaza Strip, most of them went to the Gulf states to work as teachers there. Those who did not leave were imprisoned again in the late 1950s and early 1960s. In most cases, charges against them ranged from political meetings to writing and distributing leaflets about the Palestinian problem. This story points to one of the major areas that the Nasserite experience may be criticized of. The lack of democracy in Egypt and other Arab states deprived the Arab nation of the efforts and resources of various Arab political parties. Most of the Arab political powers from left to right operated as Arab nationalists did, in the sense that their activities transcended borders of Arab states. They shared with nationalists the common grounds of liberation of the occupied territories, unification of Arab states, and improving life conditions for the poor masses. Anyway, transformation to Arab socialism deepened the gap between sovereigntists and Arab nationalists. With that transformation, the inter-Arab conflict became part of the wider Cold War politics between the socialist East and the capitalist West. The 1990 Iraqi invasion of Kuwait may be partly attributed to a deep and historical ideological inter-Arab conflict. Kuwait represented a group of Arab states that may be described as sovereigntists. They are mainly the wealthy oil-exporting Gulf states. For them, Arab unity meant providing some material and moral support for the other poor Arab states. However, they did not feel enthusiastic about unification with them. Iraq represented another group of Arab states that may be described as unionists. They called for the unification of the Arab homeland into one nation-state that would include all the present Arab states. They argue that Arabs constitute one nation as they speak the same language and have experienced the same history. They look at the status quo as a product of European imperialism, which dismembered the Arab nation into separate states. They also argue that unification is necessary for a balanced social and economic development of the Arab Middle East. The ideological conflict was reflected in the formation of the two Arab councils that represented the two groups. Kuwait was instrumental in the establishment of the Gulf Cooperation Council, which represented the soverigntists. Iraq was instrumental in the establishment of the Arab Cooperation Council, which represented the unionists. When Iraq was fighting Iran in the 1980s, the Iraqis reiterated that they were defending the Arab Gulf states, as well. Consequently, they felt that they were entitled to financial support from them. However, when Kuwait and other Gulf states appeared indifferent and less appreciative at the end of the war, the Iraqis felt betrayed. In particular, Iraqis were outraged when Kuwait demanded them to pay the war debt. Moreover, Kuwait was unwilling to cooperate in stopping the decline in oil prices. Thus, the 1990 invasion may be explained in relation to this ideological conflict about the meaning of nationalism. While Kuwaitis were thinking as a sovereign state that has its own interests, Iraqis were thinking as Arab nationalists who could not believe that a fellow Arab could be as ungrateful and indifferent. The split of Arabs into unionists and sovereigntists lends support to the argument that citizenship privileges may supersede nationalistic affiliation. In particular, the wealthy oil-exporting Arab states succeeded in forming an identity that is based solely on the economic benefits of citizenship, rather than on national origin of the population. The "Gulfer," Khaliji, identity has been replacing the "Arab" since the establishment of the Gulf Cooperation Council. The ideological conflict between unionists and sovereigntists has increased as a result of the increase in the oil wealth. Unionists have argued that the Arab oil wealth should be invested in the Arab homeland. It is the wealth of the Nation, not just the wealth of the states that produce it. This argument is based on the fact that oil prices had increased dramatically following the embargo, which followed the 1973 War that was fought by the non-oil-exporting states. In spite of that, sovereigntists were indifferent towards the economic hardship that the poor Arab states were passing through, including the Iraqi economic hardship at the end of the Iran-Iraq war. Thus, the stage was set for the Iraqi-Kuwaiti dispute that led to the Iraqi invasion in 1990 and the 1991 Gulf War that followed. But the inter-Arab ideological conflict has not developed away from the influence of the Western interests in the region. That will be the subject of the following chapter (V). Contemporary Arab literature identifies nationalism, nation, state, and patriotism as four distinct but interrelated concepts. Nationalism (Qawmiya) results from the interaction among people who are settled in the same territory and speak the same language. The interaction among them creates a web of bonds stemming from cooperation, intermarriage, and common interests. Nationalism also refers to the pride of one's nation and its characteristics, such as its origin, language, and its achievements. The earliest use of the word "Qawmiya" in the Arab literature was in the 7th century, by Yahya Bin Mus'ida. In 1880s, Salim Al- Bustani defined nationalism as the solidarity resulting from the interaction among people who have the same religion, language, and territory. Al-Zahrawi added history, traditions, and common interests. The concept of "nation" (Umma) refers to people who have at least one common characteristic, such as religion, place, or time. According to Al-Mas'udi, living in the same territory is what makes people a nation. The term "nation" also refers to a group of people who may have the same beliefs, language, or traditions. Al-Kawakibi and Al-Afghani emphasized the importance of the same language as a major requirement of a nation. Thus, while a nation refers to people, nationalism refers to their feeling of oneness as a nation. Arab nationalists use the term "nation" (Ummah) to refer to all Arabs. Sovereigntists may use it to refer to the people living in each state. The "state" (Dawla) refers to the collective will of the nation. It is directly related to governance or how the nation is governed. Related to the state is the concept of patriotism (Wataniya), which refers to loyalty of people to their national territory. There is an emphasis here on the borders and regional integrity of the nation. The homeland (Watan) refers to the territory that people identify with as their home. Present-day Arabs live within the borders of their separated states. However, they are deprived of the interaction with the rest of Arabs in other Arab states. This is imposed on them by the political borders. Therefore, the struggle for the unification of the Arab homeland is an attempt to bring life to normal. Proponents of Arab unity argue that the only way for Arab self-fulfillment is through unification, which will allow Arabs to interact as one nation. However, the 1990 crisis and the 1991 Gulf War demonstrated that loyalty to sovereign states had defeated loyalty to Arab nationalism, i.e. Wataniya defeated Qawmiya. The following five Arab nationalist societies were among the most famous organizations that were founded at the turn of the century. First, the Arab-Ottoman Brotherhood (Al-Ikha') Society was established in Istanbul in 1908. It called for equality between Ottoman nations. It lasted only for eight months as a result of the Turkish indifference. Second, Al-Qahtaniya Society was established in 1909. It called for decentralization and creation of an Arab kingdom within the Ottoman Empire. Third, the Ottoman Administrative Decentralization (Al-Lamarkaziya) Party was established in Cairo in 1912. The party arranged for and coordinated the first Arab conference, which was held in Paris in 1913. The conference called for the recognition of Arabs as a nation within the Ottoman political alliance. Fourth, the Arab Youth (Al-Fatat) Society was established in Paris in 1911, then moved its headquarters to Beirut in 1913, then to Damascus in 1914. The members were civilian Muslim Arabs who called for the independence of the Arab homeland from the Turkish control. Fifth, the Covenant (Al-'Ahd) Society was established by Aziz Al-Mesri and a group of Arab officers in the Ottoman army, in 1914. The Covenant and the Youth joined forces in Damascus, in 1915, in preparation for the Arab revolution. However, the two societies were devastated when their Arab nationalist leadership was executed in Beirut and Damascus by the Ottoman governor, Jamal Pasha, in 1915 and 1916. 1981 Faisal Kuwait 1,393@ religion first. first, political party second, and family third. @ 71% were female students, mainly from Gulf states.
. Botev (1994); Sekulic and Massey (1994). The term "sovereigntists" here refers to the Arabs who prefer to keep their states independent and enjoying sovereignty. In contrast, "unionists" call for the unification of Arab states in one nation-state. The term "sovereigntists," though not commonly used, expresses the unique national Arab experience. It is more accurate than the term "autonomists" which may refer to self-rule within a larger state. It is also different from the terms "separatists" or "secessionists" which refer to those who try to break away from an existing state. There are twenty-two Arab states that form the Arab League. The twelve Asian Arab states include, in an alphabetical order, Bahrain, Iraq, Jordan, Kuwait, Lebanon, Oman, Palestine, Qatar, Saudi Arabia, Syria, United Arab Emirates, and Yemen. The ten African Arab states include, in an alphabetical order, Algeria, Comoros, Djibouti, Egypt, Libya, Mauritania, Morocco, Somalia, Sudan, and Tunisia. Actually, in the Iraqi flag, the three stars refer to that attempt of unifying Egypt, Iraq, and Syria. In the Syrian flag, the two stars refer to the unification of Egypt and Syria between 1958 and 1961. The irony is that while these six Gulf states attempt to achieve some degree of unity among themselves, they continue as a group to move away from the rest of other Arab states. The total number of people living in the six Gulf states is about 26.51 million. However, except in Saudi Arabia and Bahrain, majority of people are non-citizen immigrants who may not share citizens the same sentiments towards unification. While the total Gulf population represents about 11 percent of people living in the Arab Middle East, citizens of these states may be estimated about 5 percent (See El-Azhary, 1984: 9). (1960: 121-127); Joudah (1964: 52-61); Assiri (1990: 54-55). The term "imperialism" refers to the third stage of the development of capitalism, after mercantalism and colonialism (Wallerstein, 1975).
. See Chapter I, particularly Al-Mardini (1980: 127-138).
. Jassem (1972: 9-16, 37-38).
. The Economist, October 24, 1998: 41-42). Al-Iktissad Al-Arabi (No. 71, June-July 1982: 15-25). The appointment of Bishara also represented a gesture to other Arabs that the Council was committed to the Palestinian cause. Bishara was known for his efforts to mediate between the United States and the Palestine Liberation Organization. In particular he arranged a meeting between the American Ambassador to the UN, Andrew Young, and the Palestinian representative to the UN, Zuhdi El-Turazi. The meeting was criticized by supporters of Israel in Congress and led to the resignation of Ambassador Young.
. Sekulic and Massey (1994).
. Posen (1995: 149, 161-162). However, the Arab-Islamic culture has left an everlasting impact on Spanish and the Spanish culture. See Bourke (1896).
. Sati' Al-Husri is one of the pioneers of Arab nationalist thinking. He occupied several administrative jobs in many parts of the Ottoman Empire during late 19th century and early 20th century. Following World War I, the Ottoman Empire was dismembered. Arabs were forced to live under occupation in separated states that were established by the European imperialist powers. Al-Husri observed that as one nation, Arabs not only can liberate themselves from the European imperialists but also can be reunited in a larger homeland. He worked as an educator in some Arab states, particularly in Iraq and Syria. Following the German example, he emphasized education as a unifying factor. He argued that Arab unity would be facilitated by increasing people's awareness of their history, language, and the importance of the unification of their homeland as the ultimate goal of their life (Cleveland, 1971).